4. INVITATION from Ukrainian company (joint ventures, joint stock companies, private persons and other types of non –government owned enterprises) duly signed and sealed by the inviting authorities and approved by the local foreigners registration authorities (in Ukr. Language-УГІРФОУМВС). Attention: This charge for every kind of visa is not refundable. The procedure of issuing visas to entry into/exit from the territory of Ukraine as well as visa types and categories, visa validity terms and legal ground for issuing visas defined by the Resolution of the Cabinet of Ministers of Ukraine “On Approval of the Rules for issuing visas for entrance and transit through the territory of Ukraine” No. 567 dated on June 1st, 2011. 1)Transit Visa (indicated by letter B) is issued to foreign citizens and stateless persons for passing through Ukraine to a third destination, as well as for the transit of cargo and for the transit of vehicle passengers. There are single, double and multiple entry transit visas issued for the period indicated in the supporting documents. However, the period should not exceed one year unless otherwise stipulated by International Agreements of Ukraine. Each transit through the territory of Ukraine should not exceed five days. - License for international transportation services issued by the competent authority in the host country. 2) Short-term visa (indicated by letter C) is issued to foreign citizens and stateless persons if the duration of their stay in Ukraine does not exceed 90 days in a given 180 day period from the date of first entry. Short-term visas can be single, double or multiple entries for six months or for the period of time indicated in the documents that constitute grounds for obtaining the visa, but not exceeding five years. 3) Long-term visa (indicated by letter D) is issued to foreign citizens or stateless persons traveling to Ukraine for a period not exceeding 90 days with the purpose of processing documents that give the right to stay or reside in Ukraine. The long-term visa can be issued by the Diplomatic Mission or the Consulate General of Ukraine as single entry visa for 45 days, except as otherwise required by law. - Original standardized invitation for study. For applications submitted between August 15 and November 15: Lists from the Ukrainian Center for International Studies that are submitted to the Ministry of Foreign Affairs of Ukraine (provided that on the list there is information regarding the foreign national or stateless persons). Outside this period of time, a visa request from the Ministry for Education, Science, Youth and Sports of Ukraine is required. - Invitation from a duly registered religious organization attested by the Ministry of Culture of Ukraine to work for a religious organization. 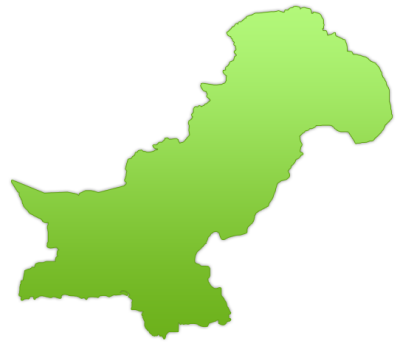 - Invitation of the branch office, divisional office, representative office or any other structural cell of a duly registered foreign public organization (Non Governmental Organization). - Other documents if required by International Agreements of Ukraine. The duration of a foreign citizen’s or stateless person’s stay is indicated in the visa sticker. The total duration of stay in Ukraine for foreign citizens and stateless persons: Transit visa and short-term visa are valid for no more than 90 days in a given 180 day period from the date of first entry. - Documents demonstrating the foreign citizen’s or stateless person’s intentions to leave Ukraine before the visa expires (such as tickets, bank statements, confirmation of employment, real estate documents, family relationships etc.). Foreign citizens and stateless persons may submit their short-term visa application during three months period prior to the planned trip. The competent authority will make an appropriate decision within 15 calendar days from the date of submission of the visa request, visa application and supporting documents. Decisions can be extended to 30 calendar days in the case of further investigation. All applicants have to apply for Ukrainian visa personally. - If the foreign citizen or stateless person entries the territory of Ukraine at the invitation of any Ukrainian Ministry, or other Ukrainian central executive body, or Ukrainian governmental institution, enterprise or organization; or visits Ukraine on request of governmental authorities of foreign countries or international organizations. Foreign citizens and stateless persons have to submit a duly filled and signed application form. Persons whose details are endorsed in the passport of the foreign citizen or stateless person have to submit a separate application form. The application form of a minor must be signed by a parent or a legal representative. - Must be issued no more than ten years ago. For the processing of visa applications for minors: a parent’s or legal representative’s permission, other necessary documents for a minor’s independent exit and travel overseas or provision for exit with a parent or legal representative will be additionally verified. In case of refusal to issue a visa, a foreign citizen or stateless person may reapply under the current legislation of Ukraine. 1. All required documents for visa (except draft demand issued by the bank on payment of consular fees) should be submitted in days of submission - Tuesday, Thursday 10.30 a.m. – 1.00 p.m.
2. The payment of consular fees for obtaining visa to enter Ukraine shall be made by the applicant based on the payment authorization slip, issued by a visa officer of the Embassy with mentioning of the amount of consular fees, valid at the date of issuing visa and approved in the prescribed manner. 3. The original and copy of the draft demand from the bank evidencing the payment of the consular fees along with the payment authorization slip, made out by a visa officer, shall be submitted by the applicant to the Embassy at the date of collection of visa documents. 4. Collection days are Tuesday and Thursday 14.00 a.m – 16.00 p.m.
5. Ordinary visa processing time is 16 calendar days. In the case when the further investigation is needed the ordinary processing time can be extended to 30 calendar days. 6. Express visa is processed up to 7 calendar days from the day of submission and costs double price. 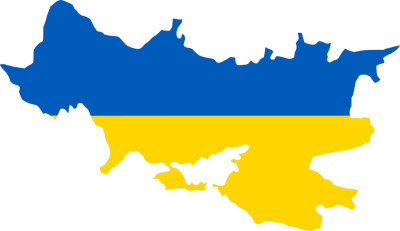 - a foreign citizen or a stateless person who entries the territory of Ukraine at the invitation of any Ukrainian Ministry, or other Ukrainian central executive body, or Ukrainian governmental institution, enterprise or organization; or visits Ukraine on request of governmental authorities of foreign countries or international organizations. The expedited issuance of a visa can be done at the request of a foreign citizen or stateless person and provided expedited processing is possible. 7. Visa Application form should not contain any corrections related especially to the name, passport details of the applicant, dates of proposed entry into/exit from Ukraine, number of entries, date of submission and etc. 8. All necessary documents for Ukrainian visa in original should be submitted along with 1 attached copy of each document (copy of application form is not required). 9. 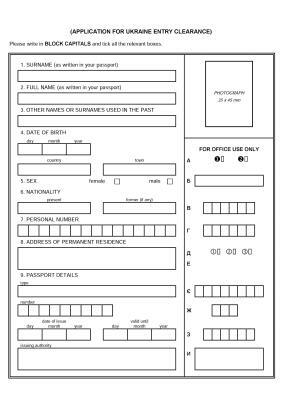 An applicant has to submit the copy of the passport with all pages of the passport having any information (valid or expired visas, stamps on entry / exit to / from any country, stamps on any rejection in issuing any visas, etc.). All Payments should be made 0n the ground of the payment authorization issued by the Visa officer after submission all necessary documents for the relevant consular action to the embassy. To confirm the payment for consular action an applicant has to provide the original and one copy of the bank's draft demand with the stamp of the date of transaction. 1) Children below 6 years old. Ukraine and who according to their statute documents or International Agreements can use diplomatic privileges and immunity and their family members. 7) Heads and members of official delegations of foreign states and persons who accompany them - on request of the President Administration, Parliament of Ukraine, the Cabinet of Ministers of Ukraine and the Ministry of Foreign Affairs. 15) Other people who travel with the purpose of promoting interest in foreign policy or humanitarian matters – on the substantiated petition of the head of the competent authority according to the Regulation of Consular Fee in Ukraine and in coordination with the Ukrainian Ministry of Finance. Ground for visa refusal or visa cancellation. 9) revocation of the visa was requested by the foreigner or the stateless person. In case of visa refusal, the visa application and supporting documents are not returned; only the passport has to be returned. In the passport a note on the visa request and date should be mentioned, and also such a note should be signed by the authorized person and stamped. A foreign citizen or stateless person who has been refused a visa, has the right to challenge the decision with the Head of the Diplomatic Mission that considered the visa application. An applicant must reapply, with proof of visa refusal, and a letter of appeal, within two months of the date of the visa refusal. If a foreign citizen or stateless person decides to withdraw the visa application, he/she looses the right to appeal. Visa may be cancelled by the same authority that made the decision to issue the visa. In accordance with the updated Ukrainian migration legislation since the 25th of August 2009 foreign travelers have been required to present the proof of their financial status for the purpose of a selective control at Ukrainian border checkpoints while entering (including transit) the territory of Ukraine.